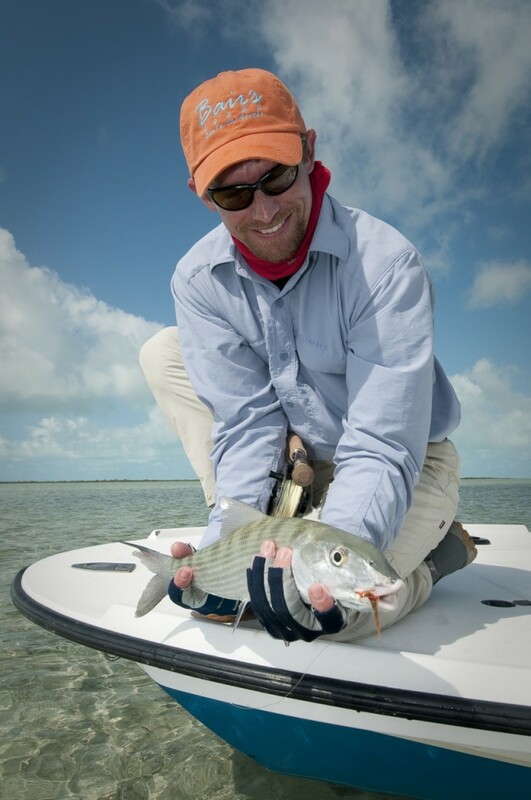 Andros Island, Bahamas has always been known for its big bonefish. 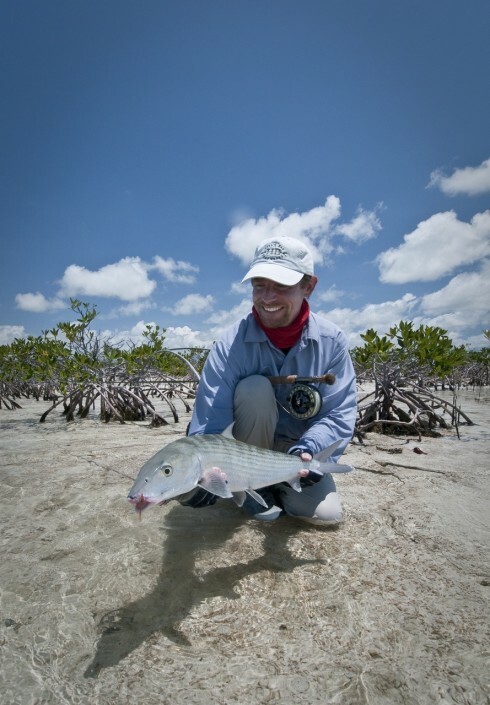 South Andros offers the best of this with a variety of unique angling situations that make up a vast network of creeks and cuts that flow through miles of mangrove lined flats and bays. 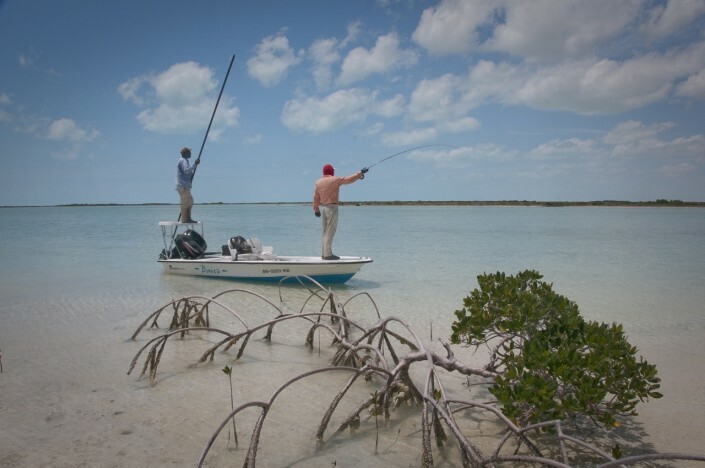 Grassy Creek, Deep Creek, Little Creek, Water Cays and Curley Cut Cays are all names synonymous with sight fishing for large bones. Bair’s Lodge location allows access to some of the most remote flats providing many sheltered fishing spots irrespective of wind direction. 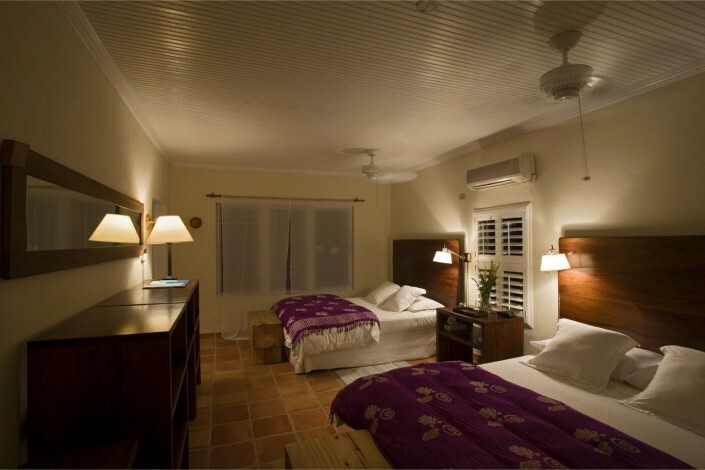 Bair’s Lodge sets the highest standard in quality accommodation, delicious food and courteous service and hospitality. 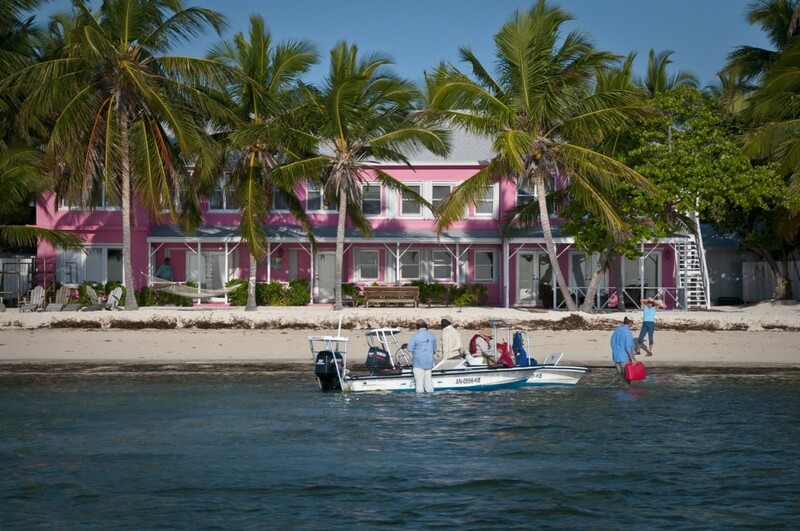 The lodge is an excellent choice for anglers that appreciate exquisite comforts after a day of fishing. 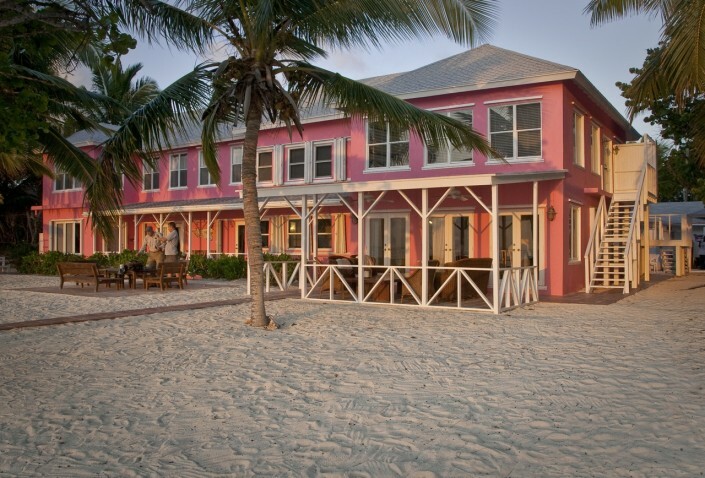 The superb cuisine includes beautifully prepared Bahamian specialties concentrating on magnificent fresh seafood, and when applicable, “the catch of the day”. 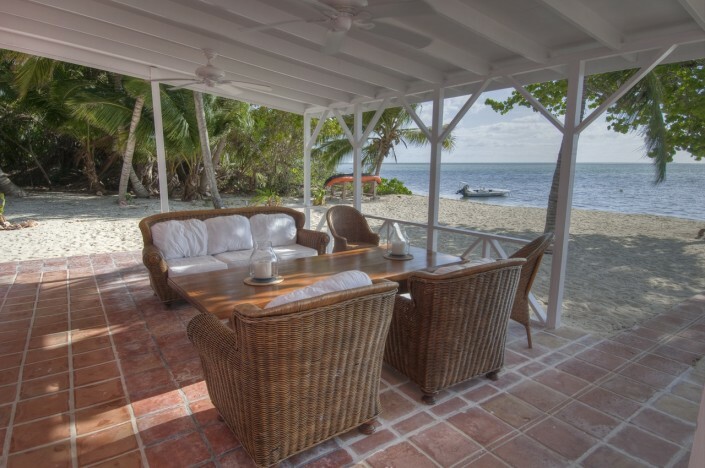 In addition to the comfort of the dining room, sitting room and bar, anglers will appreciate the convenience of the fly-tying table and facilities, as well as the on-site fly shop, fully equipped with flies, rods, reels, lines and selected items of flats wear and local crafts. There is telephone and internet access. All of this, along with an efficient fishing program that runs like clockwork, make Bair’s an ideal situation for serious anglers with high standards. The guiding staff at Bair’s Lodge is made up of personable professionals with many years of experience navigating this huge area and locating the best available fishing on any given tides or weather. Fishing is done both by wading or from the boat, being poled by your guide. 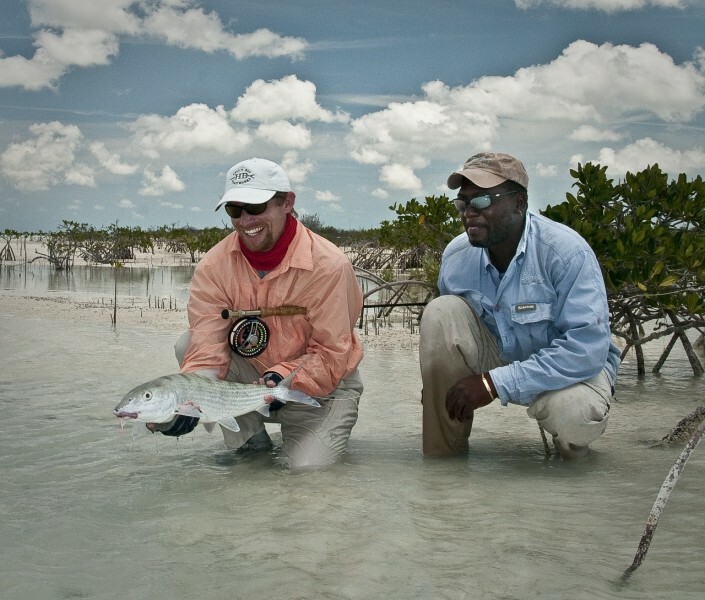 This can be a matter of the angler’s choice, but also may be determined by the type of bottom on the flats that you are fishing. 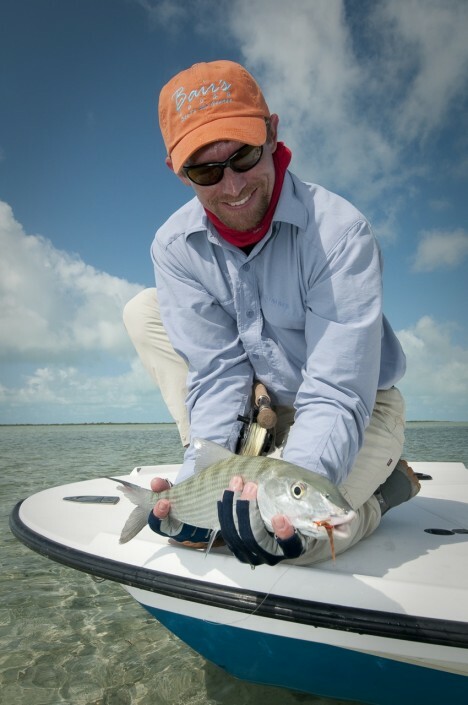 Some of the largest fish are found on flats that are too soft for wading. 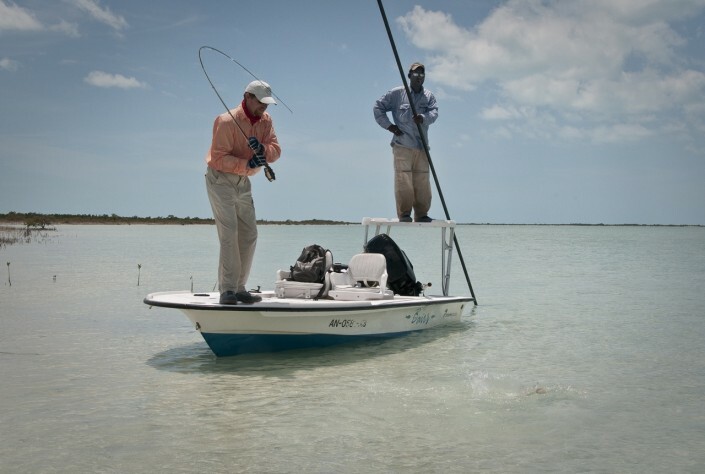 The guides use Dolphin bonefishing skiffs with poling platforms to navigate and fish this vast shallow-water fishery. The boats are docked right by the lodge, with easy access to the flats. 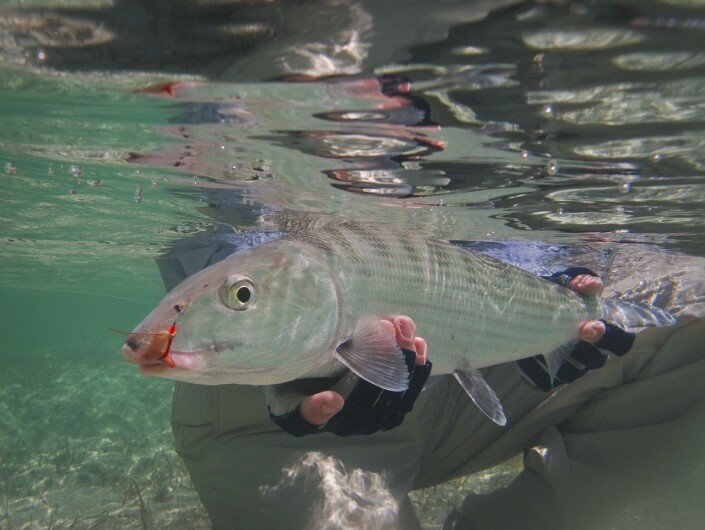 Although bonefish are the primary target, tarpon and permit are occasionally encountered along with barracuda, jacks and several types of snapper. Offshore fishing can also be arranged for billfish, wahoo, tuna and dorado. Offshore charters are completely separate from the packaged pricing and are seasonal. Space is available for 12 anglers. 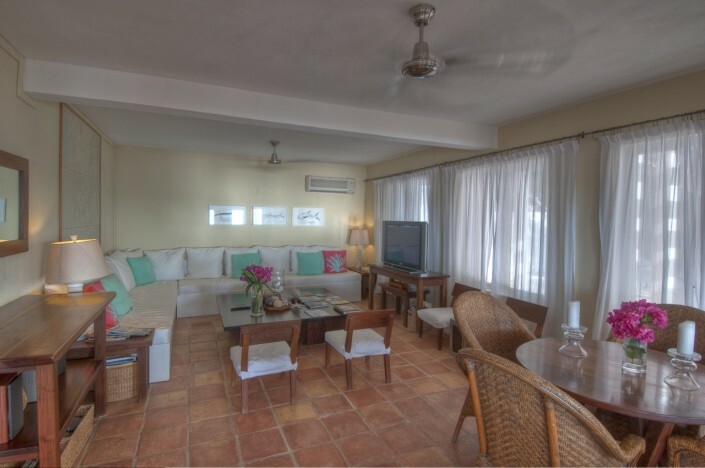 Perfect for small groups, the charming house has seven air-conditioned guest rooms, each with private bathroom. The lodge can be easily accessed by private Charter direct from the US to Congo Town, or via daily commercial flights from Nassau. Transfer to and from Congotown to the Lodge. Balance due 60 days prior to trip. Cancellations only refunded if suitable replacement is found.